In late 2015, Company A announced it would acquire Company B. Two forms of consideration were offered: cash and predominantly stock. Unusually, the latter consisted of unlisted units of Company A that could not be traded or transferred for five years. At announcement, both offers looked comparable, yet with the sterling’s decline following the Brexit vote, the stock consideration became worth significantly more than the cash offer – by around 13%. In light of the value disparity, many “activist” investors voiced concerns. However, BlackRock’s superior shareholding allowed the Event Driven team to lead a behind-the-scenes, “private” campaign, coalescing a view internally and making a series of recommendations to Company B's Board Chairman to address the inherent unfairness in the situation. Company A and Company B accepted all of our recommendations. Given the significant improvements, the event driven team/BlackRock supported the transaction, and meaningfully built into the position as our influence increased. Ultimately, our collaborative activism with management proved successful and the transaction closed. 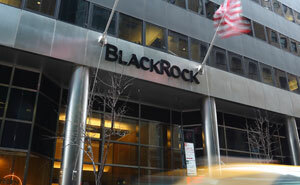 This investment – an example of both a hard catalyst M&A investment as well as soft catalyst collaborative activism – contributed strongly to the fund’s performance and highlights the unique capabilities our team has by being a part of the BlackRock platform.